BRYAN EATON/Staff photo. 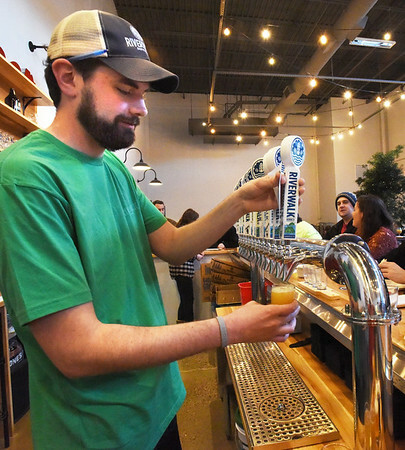 Riverwalk Brewing Company opened their taproom to the public on Wednesday in their new space on Parker Street in Newburyport. Pouring some suds for the full bar is Jamie Danahy.